I thought it was an Oil? Why can you use it on the program? Jojoba oil is about 97% unsaturated waxy (not fatty) esters. These waxy esters are very similar in composition to a number of the compounds found in our natural skin sebum (which contains about 22% of waxy esters). Therefore it can closely mimic our own natural skin oil. Also the molecular structure of jojoba oil is too large to permeate in to the blood stream, but the plant essence/essential oil synergy blends will permeate through to the skin cells to help to keep the skin looking alive, hydrated and plumped, hence limiting any skin deterioration or unnecessary aging. 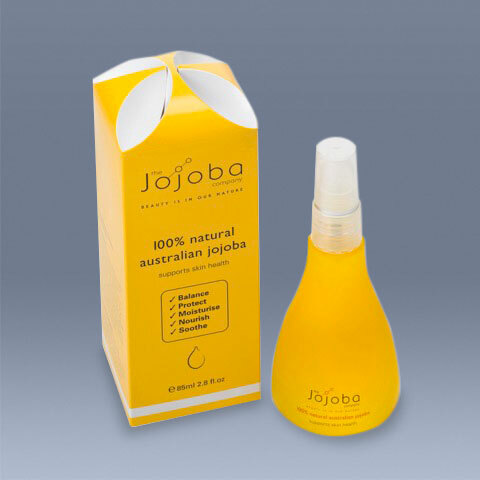 Because Jojoba sits in the skin and acts the same as the skins natural sebum, it can stabilise and protect the skin from moisture loss and environmental stress, while not interfering with the HCG diet. It is the perfect 100% natural chemical free skincare medium to help deliver powerful plant essences to the skin and boost your transformation to one of optimum health!